​Timothy Nelson gained a degree in Physiology from Cardiff University before studying with Peter Savidge at the Royal College of Music International Opera School, where he was awarded the McCulloch Prize for Opera. 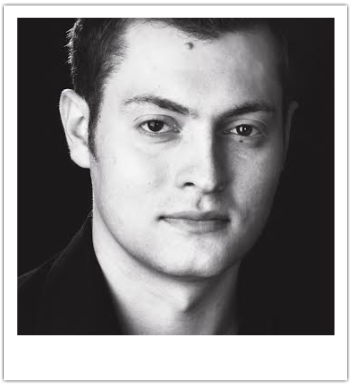 He is a Jerwood Young Artist at the Glyndebourne Festival and is a recipient of an Independent Opera at Sadler’s Wells Postgraduate Voice Fellowship. As a student, he was the winner of the Bruce Millar Gulliver Prize, the RCM Joan Chissell Schumann Competition and the Gerald Moore Award Singers Prize. Operatic experience includes the Title Role in Le Nozze di Figaro, Papageno in Die Zauberflöte, Ramiro in Ravel’s L’Heure Espagnole and Don Pomponio in Rossini’s La Gazzetta (RCM International Opera School), multiple roles at the London Handel Festival and the covers of Novice’s Friend in Billy Budd Ramiro in L’Heure Espagnole and The Clock and The Cat in L’Enfant et les Sortilegès, (Glyndebourne). Future performances include Notary and Malatesta (cover) in Don Pasquale (Glyndebourne Touring Opera), Belcore (cover) in L’Elisir d’Amore (Opera North) and Nathan in the World Premiere of Pleasure (Opera North/Aldeburgh/ROH). Recent solo performances include Karl Jenkins The Armed Man at the Royal Albert Hall, Handel Messiah at the Royal Festival Hall, Bach St Matthew Passion at Gloucester and Guildford Cathedrals, Mozart Requiem at St Martin-in-the-Fields; Handel Israel in Egypt for the London Handel Festival; Bach St John Passion at Cadogan Hall; Bernstein Mass at the 2012 BBC Proms and an Elgar Room recital at the Royal Albert Hall. Future concert performances include Messiah at the London Handel Festival, Mozart Requiem at Cadogan Hall and his first full performance of Schubert’s Die Winterreise. Timothy is grateful for the support of the H R Taylor Trust, The Countess of Munster Musical Trust, The Josephine Baker Trust and the William Gibbs Educational Trust. Away from singing, Timothy is an avid rugby and cricket fan and a keen golfer. He can often be found on the golf course trying to lower his handicap.